I’ll hatch chicks to sell, but I won’t raise them any more. I love hatching out little chicks. They are super cute and both the children and I love seeing the hatch take place. It’s a magical journey. I have nothing against tiny chicks. I have a heck of a time not bringing home handfuls of them from the feed store when I go to pick up my order. Despite my love for the cute and fuzzy chicks, I only add started pullets to my flock. I hatch chicks to fund my started pullets. Started pullets are teenage female chickens. Male teenagers are referred to as cockerels. These chickens range from 15-22 weeks by hatchery standards, but a chicken remains a pullet until she is a year old. 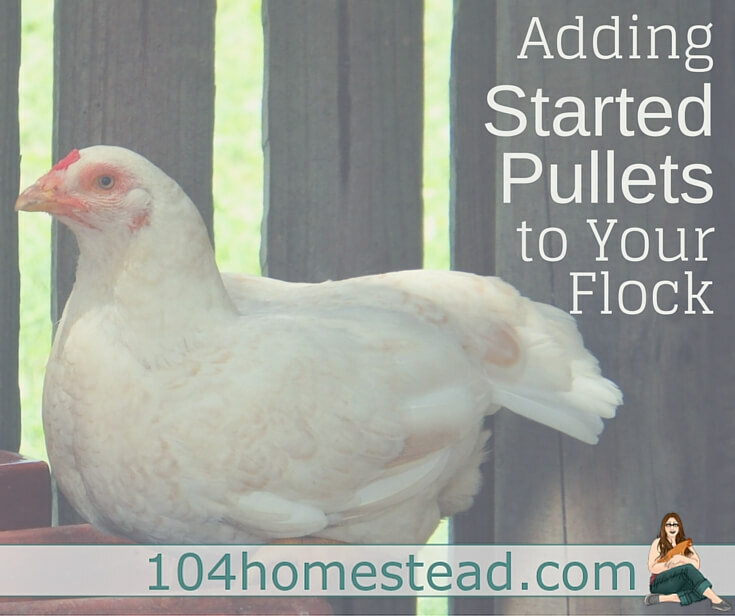 Since chickens begin laying at around six months of age, you have a much shorter wait before you start getting your eggs when you bring home a pullet. As I said, for those of us that can’t wait to get our hands on those delicious eggs, there is a big difference between waiting 6 months and waiting one or two. This is especially important if you live further north. If you purchase your chicks from a feed store or hatchery in the spring, there is a high likelihood that they will be reaching maturity at the same time the days start getting shorter. 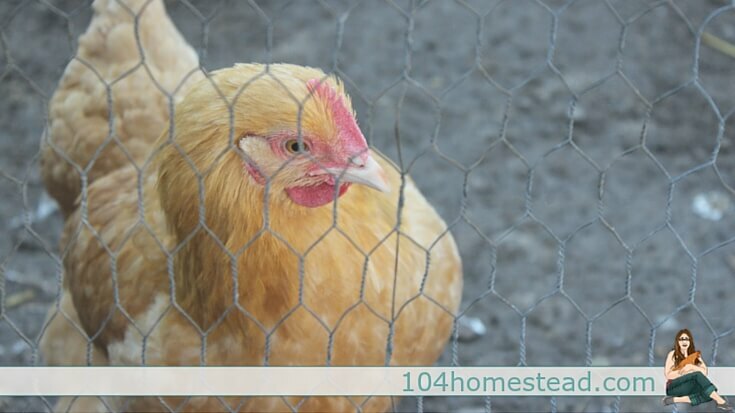 In many cases, your chicken may postpone laying until the following spring when the natural daylight lengthens. Yeah, that’s a whole year of freeloading. Another aspect that appeals to me is not having to deal with chick care. Yes, I deal with chicks in a brooder when I hatch out for customers, but usually all the chicks have been sold within a week of hatching. Chicks need to be on heat for five to six weeks, but they may need to stay indoors considerably longer if the weather doesn’t cooperate. The timeline for moving chicks outdoors needs to take into consideration the outside temperatures (at least 65ºF), the age of the chicks (at least 5 weeks old), the feathers of the chicks (they should be fully feathered), and the quantity of chicks (a larger amount of chicks can huddle to regulate temperatures better than just a few). For those of us in the north, it can be July before we get those sort of temperatures. It takes time to add to your flock regardless of the age of the bird you bring home. You can’t take a started pullet, toss it in the coop and just walk away. 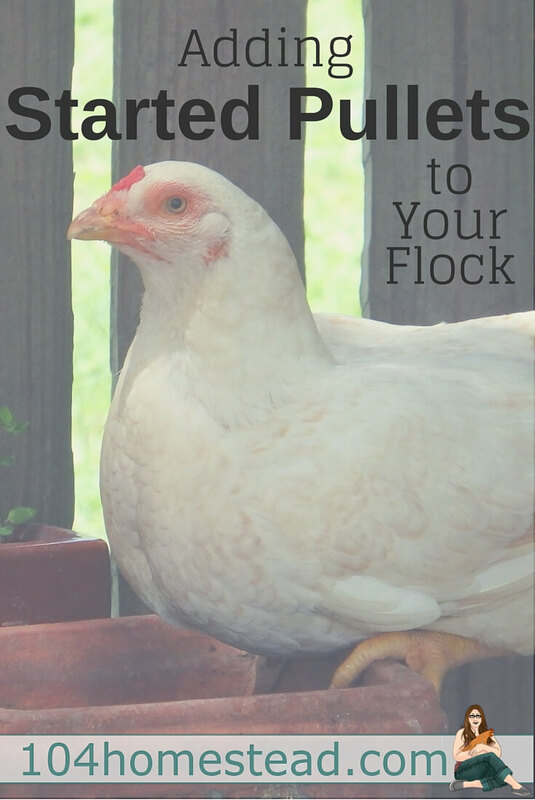 Started pullets require a quarantine period as well as an introduction period. I typically keep my started pullets quarantined on the opposite side of our property for thirty days. I then move the pullets and their setup right next to the existing flock so the birds can have contact, but cannot actually touch one another. They stay in that arrangement for one to two weeks, depending on the quantity of pullets I’m adding (less than 3 pullets and I will wait two weeks or longer, I only move larger groups in after a week because there is less likelihood that one will be singled out from the new flock). Chicks require and introduction period, but often don’t need a quarantine period. Chicks do require a substantial amount of time to “grow out” before they can be introduced to an existing flock. Again, there is power in numbers. You may be able to introduce a larger flock of new chicks sooner than if you are adding a just few because there will be less incident with bullying. You will still need to wait until the young birds can hold their own. This means they need to be fully feathered and of comparable size to the ones you have in your older flock. This pullet is near laying age. You can see she’s filling out and her comb is nearly full size for her breed. Two big issues that make starting with started pullets a challenge are the cost (a chick costs about $4 whereas a pullet can cost anywhere from $15-25 depending on age) and availability. Chicks are available through numerous hatcheries as well as at local feed stores. Pullets are available through a few farms, the occasional feed store, but mostly from local chicken keepers. Murray McMurray has a wide variety available, but watch those shipping costs. They add up quickly! You need to be able to identify the approximate age of a chicken. Sadly, many private sellers will try to pass a retired layer off as a pullet. Check comb and wattle for an idea of the chicken’s age. Private sellers may have an illness in their flock that they either don’t know about or are choosing not to disclose. You need to quarantine any new birds you add to your flock. Your “purebred” pullet may not be as pure as the private seller tells you. As someone who appreciates a barnyard mix, this doesn’t bother me too much. You need to be educated if breed is important to you or you are paying purebred price. Only you can decide the best route to adding to your flock. Getting chicks is your only option. We hatch out several dozen chicks and ducklings each year, but add only established birds to our flock. It’s the best of both worlds for us. Hi Jessica, very soon l am going to start my flock. I have the coop, but need to build a run. I am only going to have 5 due to the size of my coop. I have decided to get pullets. My question to you is do I have to quarantine each one? Your article was very informative and helpful. Thank you! If they are coming from the same source at the same time, then no, you don’t need to quarantine. If you are getting them from different places or spread out over time, yes, the need to be quarantined. What do you do with your chickens after they retire from laying eggs? Do you eat them? 🙁 I realize that is what most people do but I cannot do that. I will just have pet chickens! I feel like I’m gonna end up with hundreds of chickens in the long run since I started with 7… We wanted to raise them to learn about chickens and for their eggs, so if none of my chicks lay eggs anymore, we’ll probably get more chicks. I do prefer the babies. They are irresistible, but I see the benefit in buying started pullets! We have eaten them a few times if they are still fairly young, but most of the times they are sold, no questions asked. If a hen is sick, she is dispatched and buried in the yard. I haven’t ever considered this approach. You make some very valid points, thank you for sharing at HBN! I think my kiddos would shoot me if we skipped the baby chick stage of raising chickens, but maybe when they get a bit older I could try this approach 😉 We don’t get to add to our flock this season, but am looking forward to next year when I get to triple it (and actually have enough eggs to share with friends and family.) I have noticed your pretty face popping up in my pinterest feed a lot lately 😉 Love your blog, and look forward to getting to know you better.